I’m pooped! I’m hitting my pillow as soon as this gets posted! Set up my booth today for AQS Quilt Week in Chattanooga, TN this week! Show opens tomorrow. Come on by Booth #1619 to say hi and check out my patterns and tools for sale! I’ll be bright eyed and ready to give binding demos and talk quilting!!! 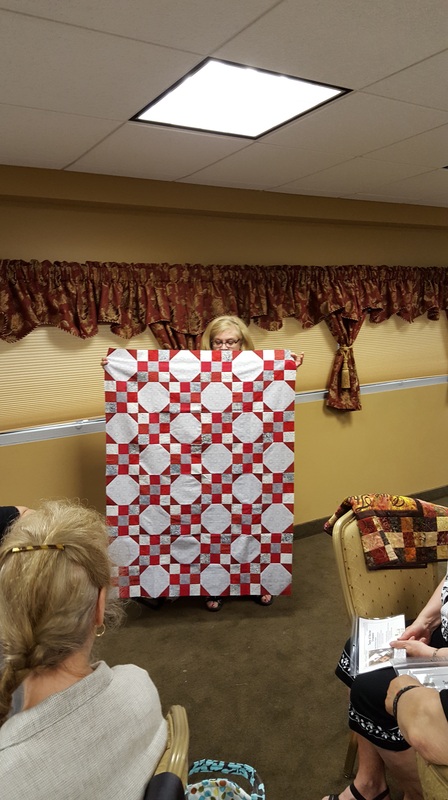 They are so effective in a quilt, especially when combined. 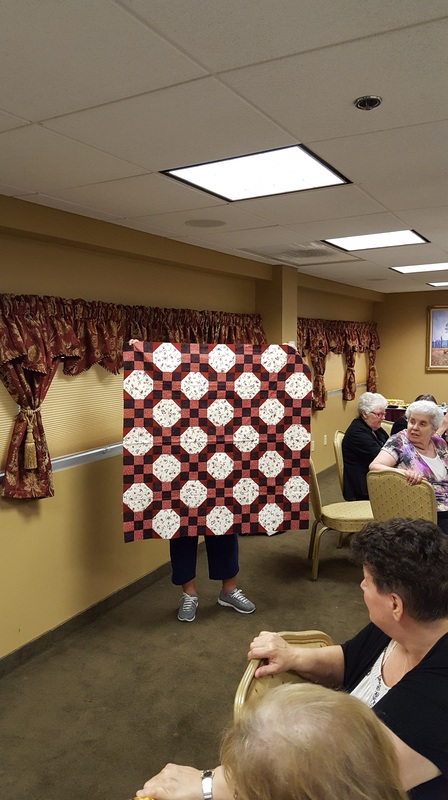 I love how a change of color placement can make these quilts look so very different. Thanks to Edna and Cheryl for making my patterns come to life! WELL DONE ladies! What is your go to block? #1- simple color changes can completely change a blocks focus. 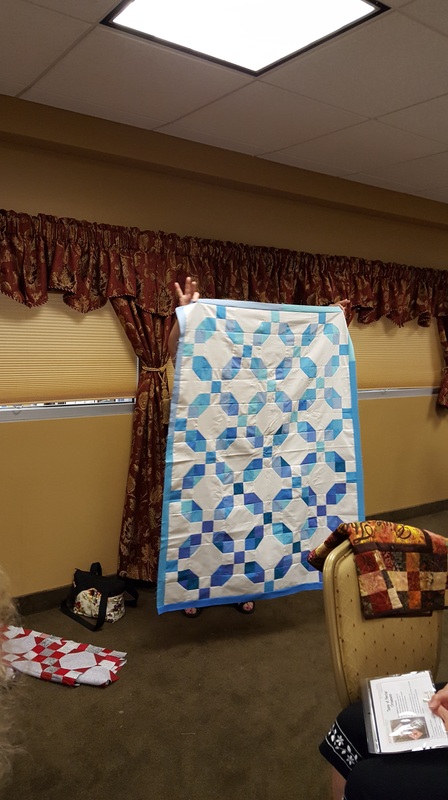 #2- simple blocks make stunning quilts! This entry was posted in Nine Patch, Tips, Uncategorized. Bookmark the permalink.